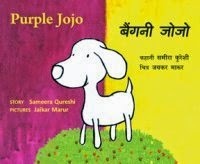 One day, Jojo the dog wakes up to find purple spots on his body. Where did they come from? Jojo sets off on a search... This charming tale with a twist is also a wonderful introduction to colour.